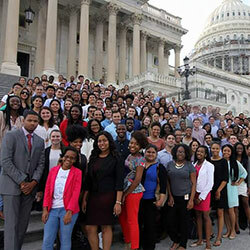 We are pleased to share a timely Op-Ed, written by Carlos Vera and published by NBC News, on the lack of opportunities for Latinos and minorities to intern in Congress. With structural inequality in the House and Senate, it can be difficult for many Latinos to acquire unpaid internships. Vera acknowledges that CHCI is at the forefront of addressing this problem. 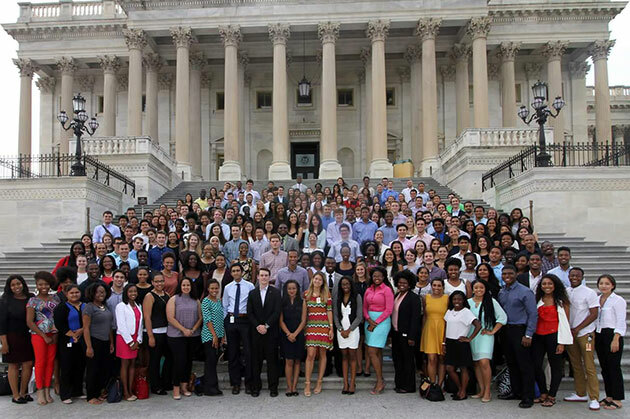 Our Congressional Internship Program ─ highlighted as a prime example of what the rest of the D.C.’s internship programs should be doing ─ offers paid internships to present and future Latino leaders that have led to substantive positions in Congressional offices. CHCI is proud to have over 3,400 accomplished alumni serving across all sectors, including 15 Presidential appointed positions and four of the seven officer positions at the Congressional Hispanic Staffers Association. It’s what our founders envisioned nearly 40 years ago when they founded CHCI: more Hispanic Americans in policy making positions. We are proud to have developed multiple generations of Latino leaders over our long history, and with your continued support we can do so for many years to come.